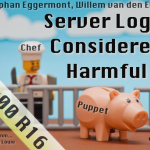 What do Extreme Startup, Smalltalk and Server Login Considered Harmful have in common? I’ve made some slides to promote sessions about them at XP Days Benelux. Competition for the most hilarious Official Half Minute Pitch at each half day of the conference is fierce. This year sessionorganisers can send in slides. Luckily Stephan Eggermont reminded me that the deadline is right about now. 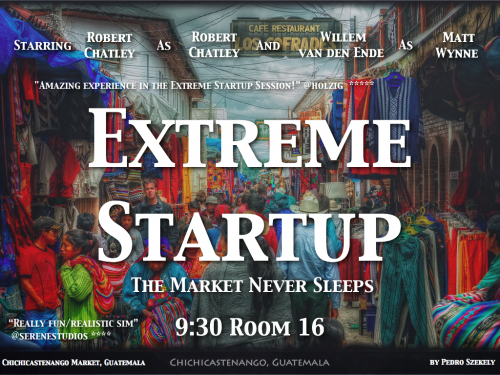 With a few iterations, film poster-like slides are my themes for this year. When Robert Chatley asked if I wanted to be stand-in for Matt Wynne, who has more sensible priorities than most of us I thought for half a minute and said yes. 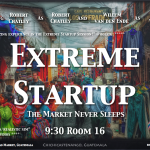 The eXtreme Startup is a hands-on session that lasts a morning, but allows for new participants halfway through. I attended it at Agile Cambridge, and found it loads of fun and educational. Can you and your partner code against the market and your competitors? Will you deliver the most business value against changing demand? Can you balance the flow of euros against technical debt? Join us this friday at 9:30 in room 16 and find out. One of the ways to iterate quickly while finding out what is a good market fit, is to use a language and environment that was build to explore the unknown. 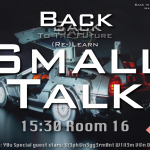 Join Stephan Eggermont and yours truly this Friday at 16:30 in Room 16 and find out how web development can be like desktop GUI development, and how Debugger Driven Development optimizes your inner software development loop! No code was harmed in the making of this session. So, you’ve found your strategy to find your market and keep up with it and you’ve found a development sweet spot. Now your deployments can’t keep up. Servers burn down, your mail is a spam magnet and as a systems administrator you are getting tired of late night phone calls. Devops configuration management to the rescue? 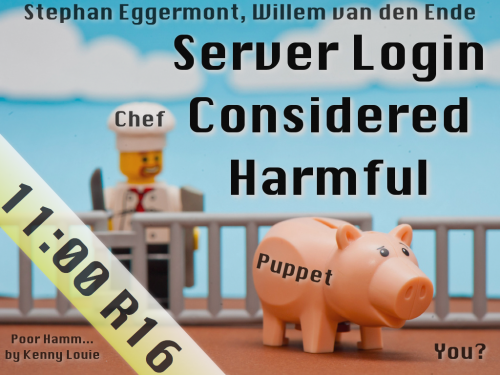 Come to our session “Server Login Considered Harmful” and find out if Chef can save your Puppet’s bacon. Find out this Thursday at 11:00, again – surprise surprise? 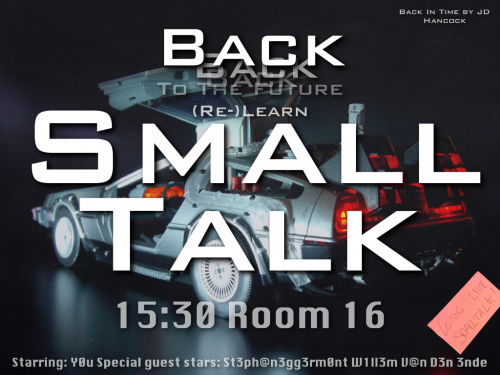 – in Room 16. XP Days Benelux is already sold out, I just wanted to share the fun Ihad in preparing it. Still hoping to see you there . This entry was posted on Friday, November 25th, 2011 at 11:54 pm	and is filed under people & systems. You can follow any responses to this entry through the RSS 2.0 feed. Both comments and pings are currently closed.